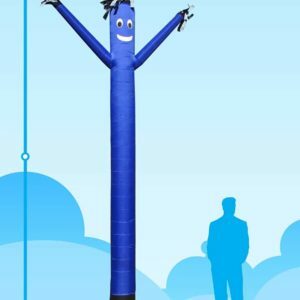 The 20ft Blue Sky Dancer inflatable advertising attachment from Balloonman.ie is a must-have for every business or event that wants to take it to the next level. When your patrons see the waving motion, bright color, and smiley face; they'll be curious what you having going on at your location. 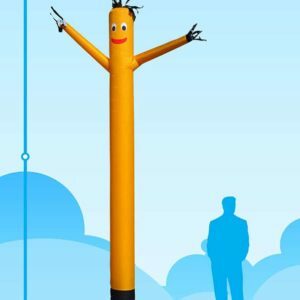 With higher quality materials and craftsmanship, you'll be happy you chose an inflatable advertising Sky Dancer from Balloonman.ie Blower sold seperately. 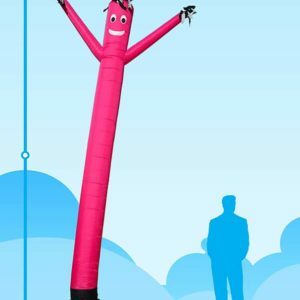 The 20ft Pink Sky Dancer inflatable advertising attachment is the perfect eye-catching product for your special business or event. Start out with the vibrant Pink color, towering height, and then the dancing motion, and you got yourself a recipe for more patrons visiting your establishment. This inflatable advertising product is the perfect solution to take your it to the next level! Blower sold seperately. 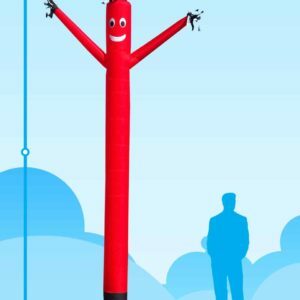 The 20ft Red Sky Dancer inflatable advertising attachment is the perfect eye-catching product for your special business or event. Start out with the vibrant Pink color, towering height, and then the dancing motion, and you got yourself a recipe for more patrons visiting your establishment. This inflatable advertising product is the perfect solution to take your it to the next level! Blower sold seperately. 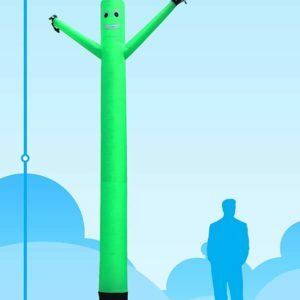 The 20ft Green Sky Dancer inflatable advertising attachment from Balloonman.ie is what will get you the increase in traffic for your special business or event. No one will be able to resist the vibrant green color, towering height, and the dancing motion. You'll see increased number of patrons and higher sales. This inflatable advertising product is the perfect solution to take your business to the next level! Blower sold seperately. 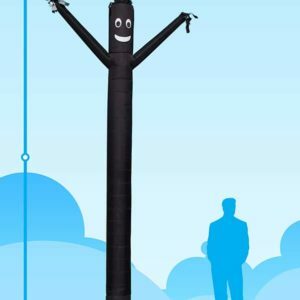 The 20ft Black Sky Dancer inflatable advertising attachment from Balloonman.ie is what many businesses have used to increase slumping sales and visitation. People will see it's unique color combination, giant height, and contagious dancing motion and want to see what you have to offer. You'll see more patrons and higher sales. This inflatable advertising product is exactly what you need to grow your business establishment. Blower sold seperately. 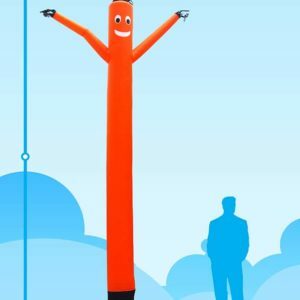 The 20ft Orange Sky Dancer inflatable advertising attachment is your best bet to attract those extra difference-making patrons to your event and business. With it's sky-high height, vibrant color and welcoming face; you're sure to see more people walking in on a regular basis. An inflatable advertising product from Balloonman.ie is exactly what you need to take your event or business to the next level. Blower sold seperately. 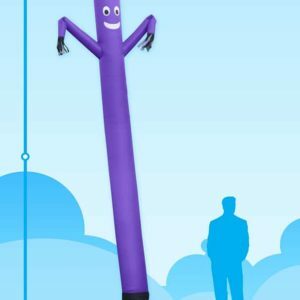 When you need to grab attention for your business or event, the screaming 20ft Purple Sky Dancer inflatable advertising attachment is the product that will stand-out among the rest. The clean purple color, and dancing motion, and smiling face will have more people visit your business or event than any other on the block. This inflatable advertising product is the perfect solution for your special event or business! Blower sold seperately. 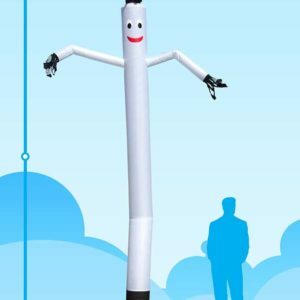 When you need to grab attention for your business or event, the screaming 20ft White Sky Dancer inflatable advertising attachment is the product that will stand-out among the rest. The clean white color, and dancing motion, and smiling face will have more people visit your business or event than any other on the block. This inflatable advertising product is the perfect solution for your special event or business! Blower sold seperately. The 20ft Yellow Sky Dancer inflatable advertising attachment from SkyDancers.com is your best bet to attract those extra difference-making patrons to your event and business. With it's sky-high height, vibrant color and welcoming face; you're sure to see more people walking in on a regular basis. An inflatable advertising product from Balloonman.ie is exactly what you need to take your event or business to the next level. Blower sold seperately.